Westminster voters will head to the polls on May 9 to vote for Mayor and two seats on the Common Council. From the City of Westminster: Westminster voters will head to the polls on May 9, 2017 to vote for Mayor and two seats on the Common Council. The term of office for both Mayor and Common Councilmember is four years. 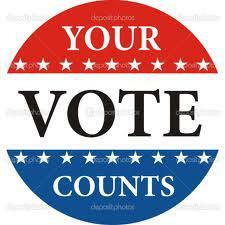 City residents may vote from 7:00 a.m. until 8:00 p.m. at their designated polling place. Registered Westminster voters who reside on the west side of Maryland Route 31 vote at the Westminster Community Center, located at 325 Royer Road. Voters residing on the east side of Maryland Route 31 vote at the John Street Quarters of the Westminster Fire Company, located at 28 John Street. Candidates for the office of Mayor are Joe Dominick and Kevin R. Utz. Candidates for the two open seats on the Common Council are Tony Chiavacci, Ann Thomas Gilbert, and Benjamin Yingling. The deadline for submitting a request for an absentee ballot is 4:30 p.m. on Friday, April 28, 2017. Information on obtaining an absentee ballot and general election information can be found here or by calling Shannon Visocsky, City Clerk, at (410) 848-4938.